LDRS Creative ~ CHA Release! I am super EXCITED about today's card. These are BRAND NEW CHA released products. I am absolutely loving this BUILD A CARD Heart Felt die set. 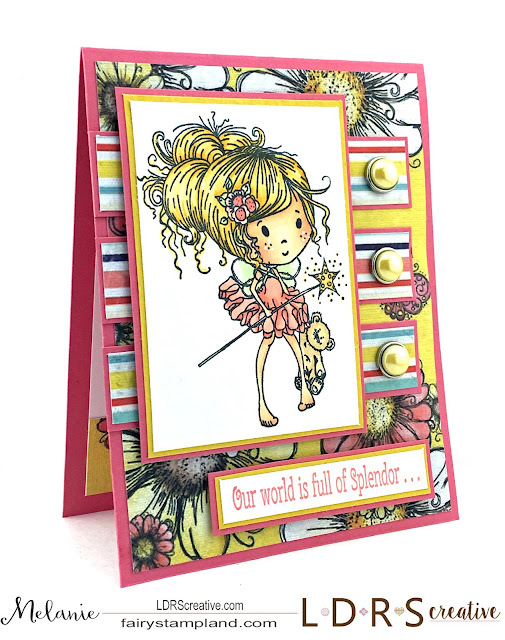 This is a one of a kind set and includes 9 pieces/dies including the flower dies I have used here on this project. 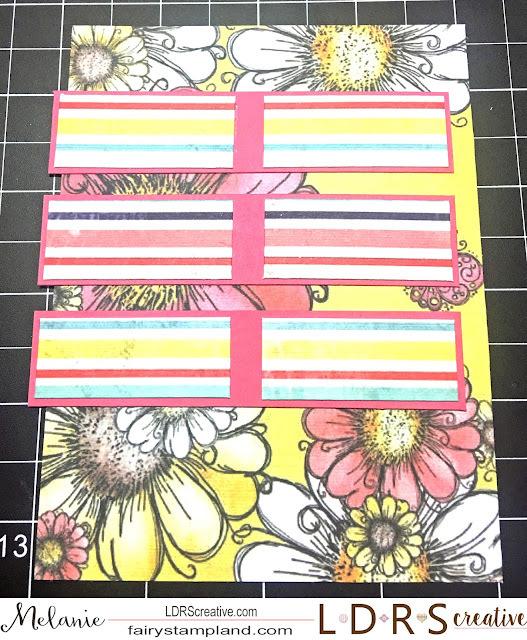 I love how this set includes not only the outer card shape but also includes one front piece that is slightly smaller to allow for easy layering. Also make sure to look at the edge detail on this card. The stitching makes it even more defined. 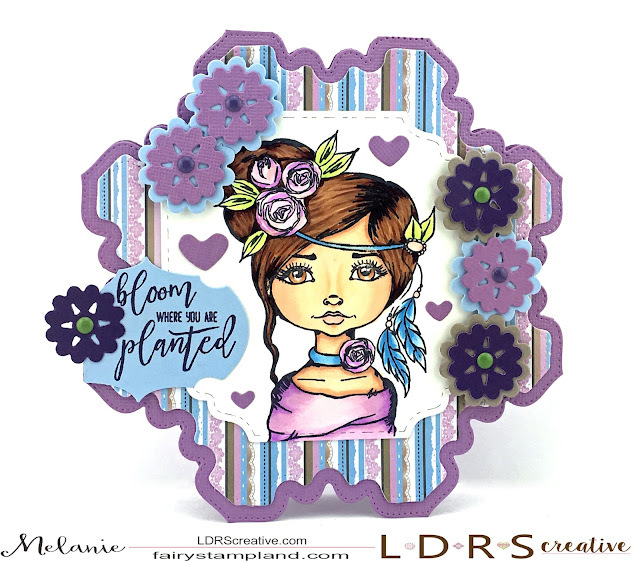 I have colored this stamp from the brand new Cre8tive Cre8tions Designs stamp set titled "Let Love Grow". 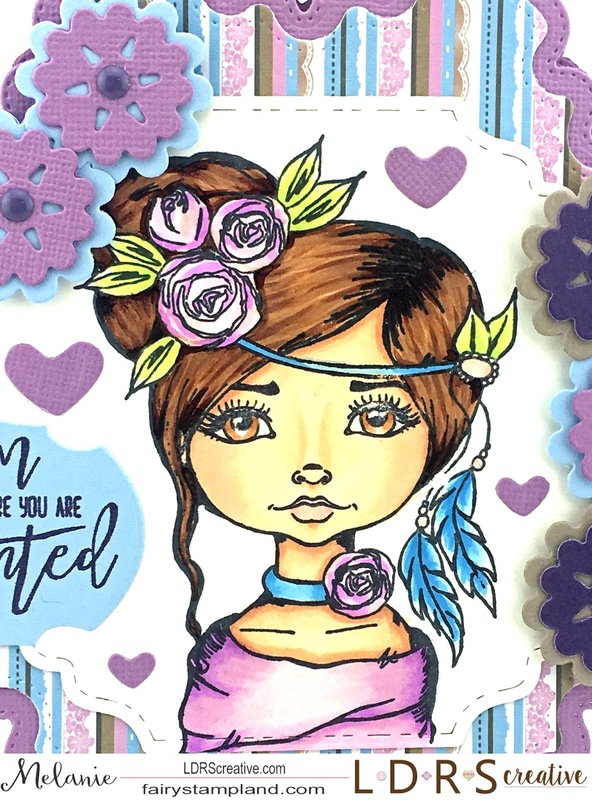 This set includes 15 stamps including this really detailed girl image as well as floral stamps and sentiments. 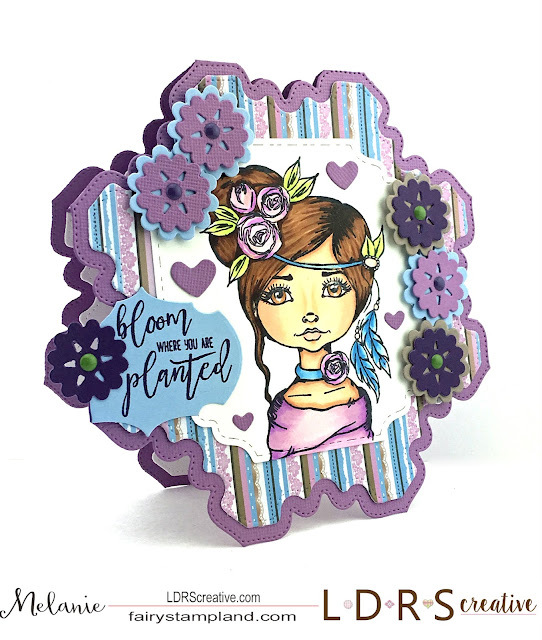 The paper I have used here is from the TLC Paper Crafting line and is called "Cotton Candy"
Make sure to check out the brand new released items including stamps, dies, and papers. 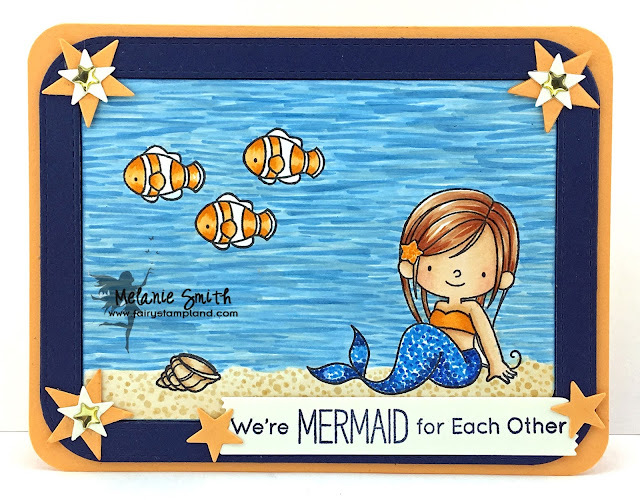 I have been playing lately with some of my much loved stash of items and I decided to check out some of my favorite stamp companies to see if there were any fun challenges to participate in. I have just begun my "collection" of MFT products so I thought I would play along with their current color challenge. At first look at these colors I was not inspired at all....but that is why they are called "Challenges" right? So I looked through my stamps to find a set that would work with blues and oranges and as soon as I saw my new My Favorite Thing's stamp set titled "Mermazing". I knew this would be a perfect set. The two die sets I used were Blue Prints 13 & Stitched Round Rectangle Frames. With the frames I cut 3 and glued them together to create a framed look. To play along with My Favorite Things Color Challenge for your chance to win a $50 gift certificate simply click HERE. To see their brand spankin new release of "Love" inspired products CLICK HERE. This is my very first post of the New Year and I hope your year has started out peacefully. Today I am sharing an adorable "Fairy" stamp from LDRS Creative with all of you. This is "Winnie Fairy Sparkle" by Polkadoodles. 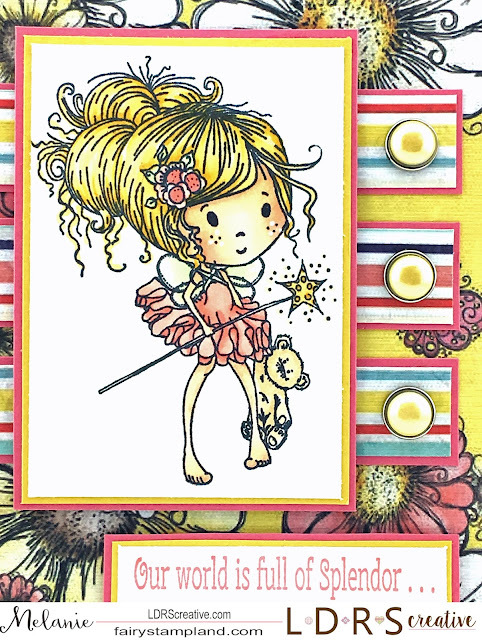 This A2 sized card features two papers from the Polkadoodles Daisy Daisy 6x6" paper stack. Since I only had a small scrap piece of the striped paper left I decided to get creative with it. See below. I cut the scrap piece into 6 equal strips to make it look as if it was longer pieces than it was. Then I disguised it by covering it with the matted stamped image. I felt like this gave a little added interest all while using all of the beautiful paper. 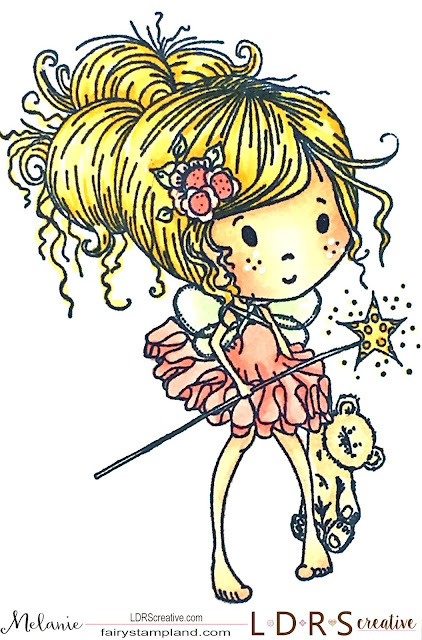 Below is a close up of my colored image. 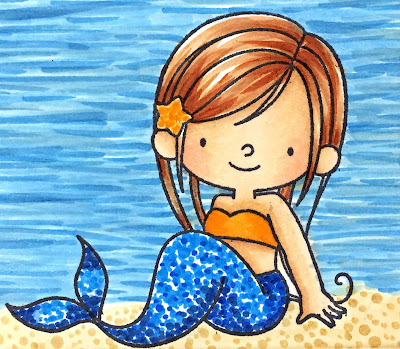 The color medium I have used is Copic Markers. Isn't she just precious? Below are the exact Copic color combos that I have used here. Here is one last shot of my full card.